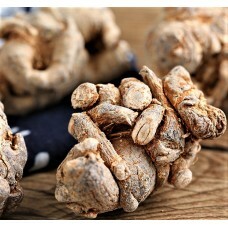 This high quality (grade one) Chinese herb is available either in the raw root form or sliced. It can be powdered as well. 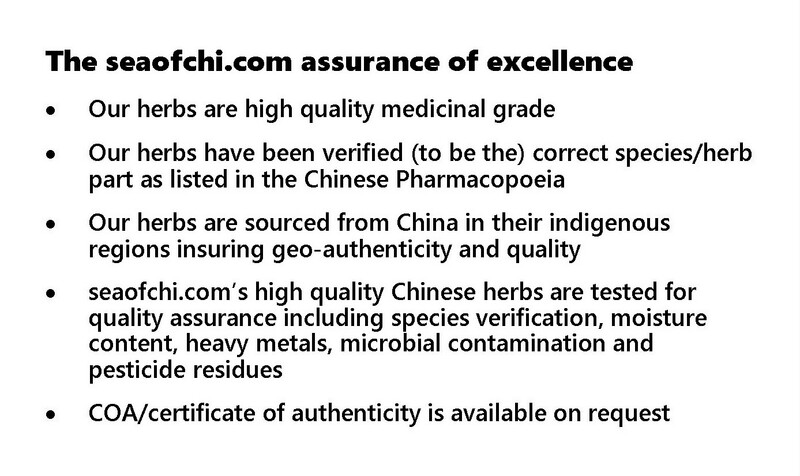 When ordering use the above "Add-On" link to choose how you wish to purchase this herb. 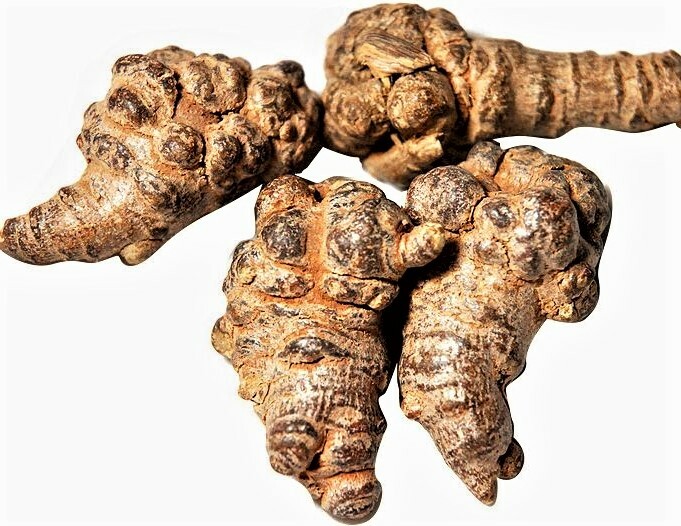 The Chinese herb commonly referred to as San Qi (pronounced san-chee) is well known and highly regarded by Japanese and Chinese martial arts as well as in traditional Chinese medicine and its Japanese counterpart (Kampo) for its blood arresting capability. 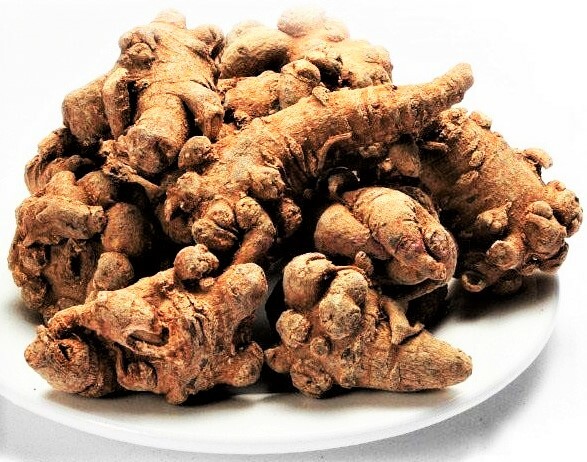 The esteem afforded the famous hemostatic herb is based on the herbs versatility which is demonstrated by its ability to effectively treat both internal and external bleeding. Clinically, San Qi is used to treat vomiting of blood, stab wounds, expectorating blood from the lungs, bleeding from the nose, and blood in the stool as well as external bleeding caused by trauma. To Stop External Bleeding - The powdered herb is sprinkled directly onto wounds and incisions before applying direct pressure. Nose bleed is treated by ”sniffing” powdered San Qi up the nose or inserting it into the nostril with a Q-tip and pinching the nose, holding it closed (which is a form of direct pressure). To Stop Internal Bleeding - 0.5 -1 teaspoon of powdered herb is mixed with approximately 4-8 oz. of wine or water and drunk one to three times daily. In severe cases of bleeding the amount of San Qi can be increased to 2 teaspoons in 8 oz. of wine or water. Once an important part of the martial arts curriculum, the technique of applying hemostatic agents like San Qi prior to administering direct pressure in order to control bleeding has been practiced by martial artists as diverse as Taoists priests, Shaolin monks, and Samurai warriors. Although no one can argue with the fact that the method described for controlling bleeding was an important part of the ancient warrior’s injury management strategy. The value of techniques and formulas for preparing herbal liniments and embrocations used for treating minor sprains and strains to the ligaments muscles and tendons as well as broken bones — was also extremely important and highly valued as an integral part of the martial artist’s arsenal of techniques for hastily resolving injuries. If you wish us to powder this herb for you, please check the “add-on” box above and there will be a $10.00 powdering fee applied. Caution—if bleeding persists, seek the advice of a physician.